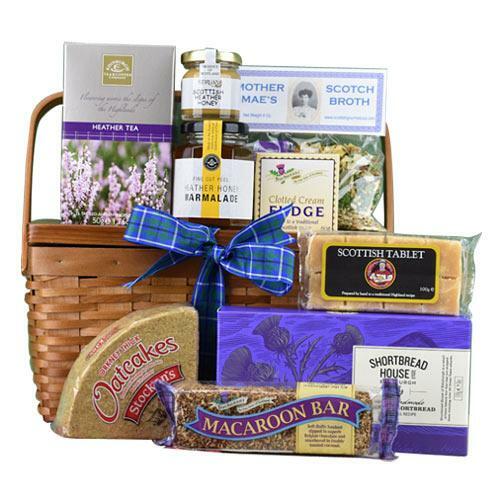 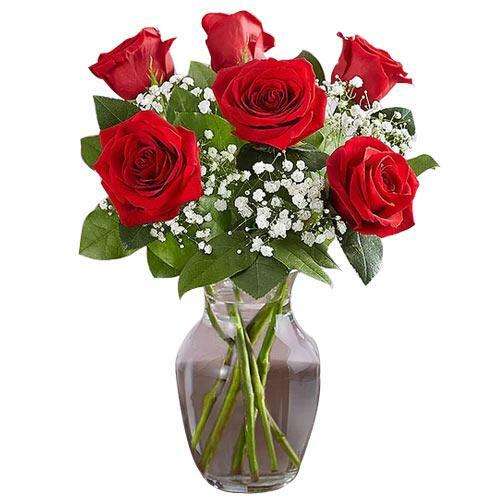 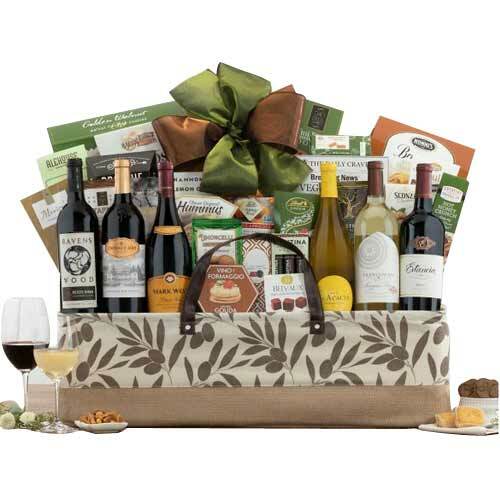 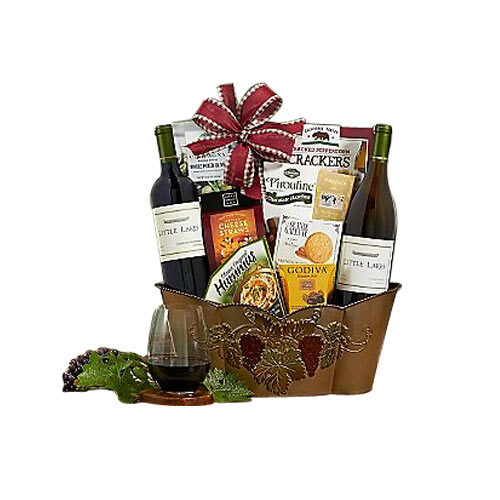 Product Details : Acknowledge the people who love you by sending this Classic Gourmet N Wine Gift Basket and make them realize their worth in your life. 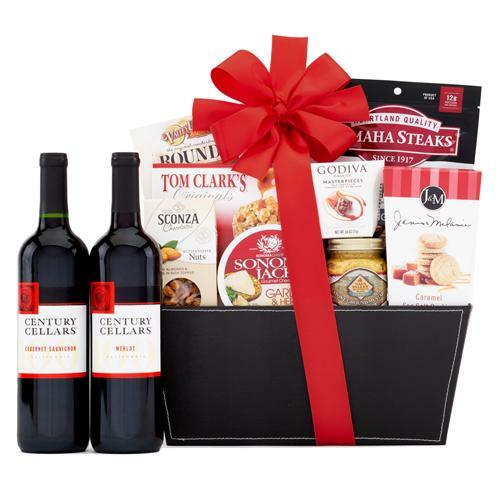 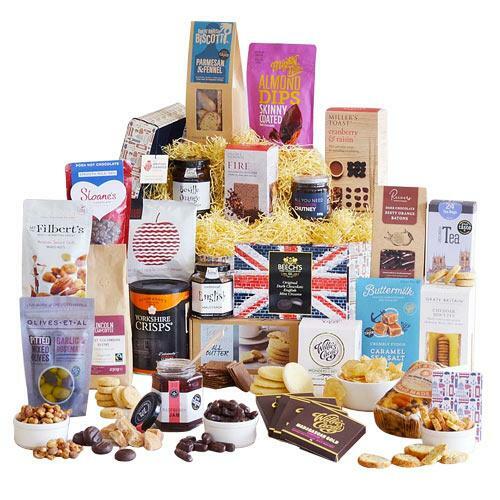 This Hamper contains Luxurious Blend of Wine Cabernet decked with Kiarna Cabernet Sauvignon (750 ml), Kiarna Chardonnay (750 ml), Vino e Formaggio Asiago Cheese Wedge (3.5 oz), Godiva Milk Chocolate Truffle (2 pc), Walnut Flavored Cookies (3 oz), Hummus Original flavor (3oz) and Stonefire Original Naan Crisps (2.5 oz). 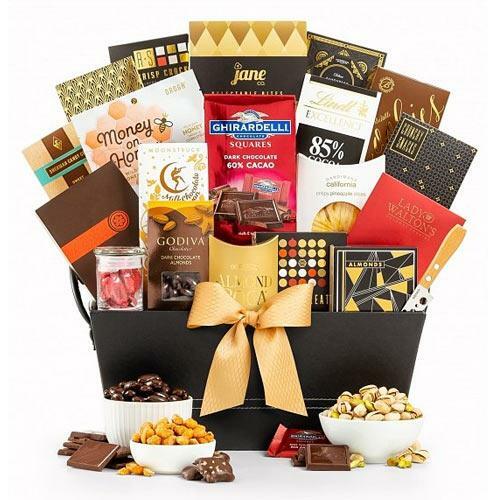 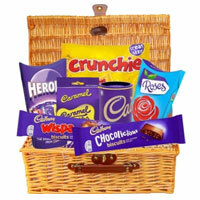 This Basket is decorated with a Satin Ribbon.